According to Acosta research, millennials – the generation born between 1981 and 1996 – are generally globally minded, optimistic, and tolerant. They grew up in a digital era with access to the internet, mobile services, social media, streaming media, and smartphones. This generation, according to the same report, also has a different view of work/life balance. But, perhaps we should even change the phrase to life/work balance, as young people now in their twenties and early thirties in the workforce are choosing to spend their time in companies with flexibility and opportunity that doesn't require 24/7 commitment. They are also choosing companies with strong social values, non-profit volunteering programs, and more. 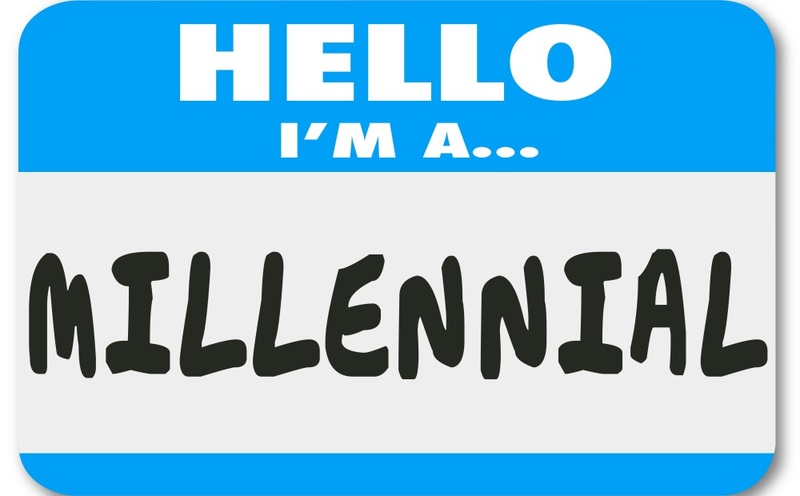 A pretty impressive generation, following the Silent (1928-1945), Baby Boom (1946-1964), and Gen X (1965-1980) waves who helped create the environment and began evolving the very technologies that millennials were born with and are now making a huge impact on. As we fast forward toward 2020, when the majority of the workforce could be freelancers in a new gig economy – and when more and more enterprise value is being created in the digital world – how can we build the tools millennials will need to communicate in their own unique way? Here are five big trends we are seeing in terms of how millenials are communicating. Facetime, Skype (News - Alert), and dozens of other live, peer-to-peer video applications have grown beyond novelty and are now as natural a choice of messaging as calling has been since the invention of the telephone. Visual goes beyond video to photography and image manipulation with popular apps like Snapchat. As more and more sophisticated design tools enable people to filter, crop, enhance, blend, and animate images, millennials are finding these apps to be simple, intuitive, and fun. Millennials are becoming millions of mini-movie makers! There is no more restriction on when we can consume content, with the death of linear TV and the enormous growth of streaming content. That said, live events are becoming more popular than ever, including live digital events. Musical artists are making more money on concert tours and merchandise than the music itself. The 24-hour news cycle is further addicting us to fast-moving stories. Advertisers know this, driving the growth of more non-traditional news channels than ever. Context is king, and, as millennials are naturally comfortable communicating through them, they are responding to contextual conversations, whether with each other, with brands, with contact centers, or other sources. Expect to see advertising become more human as software makes it possible for AI/bots to converse with consumers and understand when connecting those consumers to an expert live human will generate better results (more loyalty, more sales, more growth). If context is king, then social is queen. Combining our hyperconnected, hyperconsumptive lives with the ability to share everything we wish with whomever we wish on the channels of our choice becomes increasingly part of millennials’ hypercommunications behavior. Social is becoming smarter and more feature rich, more intelligent, and quietly invasive with the advent of AI increasingly blended into the mix. Companies, like IBM and its Watson platform, are now able to stream millions of concurrent conversations through their engines, correlating data, returning recommendations, and creating analyses that enable advertisers to target with extremely localized and refined offers. Social is not only helping millennials connect with others and ideas, but is actually grooming their networks and experiences for them, in ways they find helpful (while Gen X and baby boomers are wary as the notion of privacy falls away). As millennials choose to lead more independent work lives, they are avoiding email and opting for the cloud as the only real way to get work done. Whether they are using Slack, Dropbox (News - Alert), Box, Google Drive, or any other number of multimedia cloud-based collaboration platforms, the combination of the work cloud and their natural tendency to text has become enough to make email nearly obsolete. Millennials have grown up digital and grown up on Google (News - Alert). Forcing them to use traditional means of contributing to projects (email, shared drives, moving documents around, having voice-only conference calls) is downright unnatural. There are literally hundreds of collaboration platforms, and choosing the right one as enterprises look out into the 2020 milestone is going to be important. Many enterprises are developing their collaboration, workflow, CRM, ERP integrations, and embedding real-time communications (click-to-call, click-to-video, screen sharing, and more) as a competitive advantage. Unwilling to risk the security issues associated with open collaboration platforms and unwilling to pay steep licensing fees for tech giant solutions like Office 365, enterprises are investing in their own DevOps infrastructure and talented developers to take elements and stitch together their own millennial-ready digital work platforms. Ultimately, in this kaleidoscopic millennial world, people will have more and more choices – more devices, more networks, more applications, more platforms. Look for brilliant new mixes where this new generation of global citizens is able to locate ways to find each other, create their own channels, and redefine what we perceived to be media. We now live in a multichannel, multimedia and multithreaded world. All software, all the time, with software-defined networks, virtualized machines, increasingly elastic applications, and exabytes of data moving through the digital layers will only further spawn creativity. These trends discussed will – five years from now – seem obvious. New innovations created by the millennials stand to dramatically change not only how we communicate, but how we govern and build more healthy societies.